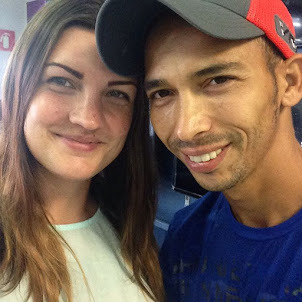 This post isn't really about Brazil as much as the skin, makeup, and hair care products that I've found invaluable here. Some of them I used sporadically in the United States, but I find myself using all of them daily here. (Small note: I used all stock photos of these products from retail websites, because I'm not sure what copy write laws are regarding photos on blogs. Also, this post is in no way sponsored. If it was, you'd see a lot more exclamation points and calls to "buy it now, NOW, NOW!"). MAC Painterly Paint Pot - Between being a mom to four year old and eleven month old expats and living in the land that never sleeps, the bags under my eyes could have carried all of our luggage here. Concealer doesn't really cut it for me. 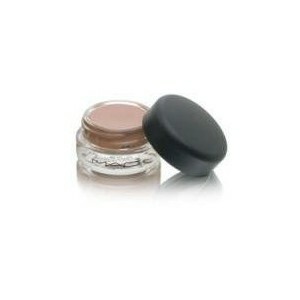 MAC claims this is "A long-wearing blendable cream shadow that can be worn alone or with other products." Cream shadow, cream base, shadow primer - I'm not really sure what the difference between all of these are; I'm not a makeup artist or anything close to an expert. But I know that if I swipe this on my lids and under my eyes, it looks like I actually sleep at night. Fake it till you make it. 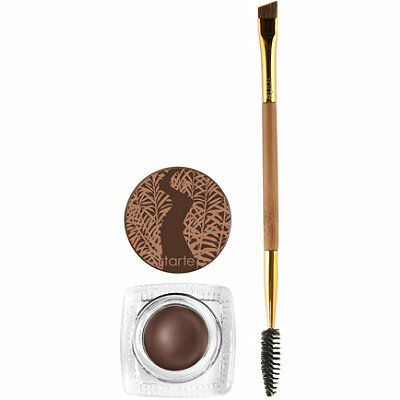 Tarte Amazonian Clay Waterproof Brow Mousse - I own this in medium brown. When I say discovering eyebrow makeup changed my life, I'm not joking. My makeup went from middle school to 1950s cool. You know how all those '50s housewives looked so put together? It's all in the eyebrows. If you think I'm joking, and you've never tried eyebrow makeup, stop into Ulta (my favorite makeup store), or another makeup store near you, and just talk to someone at a makeup counter. Ask them for some help and ask them to apply some for you. As embarrassing as it was, that's what I did, and I've never looked back. (And you do want to ask for help - I never would have picked the right color. I even asked the artist if she was sure, since it didn't match my eyebrow or hair color. Of course she was right). 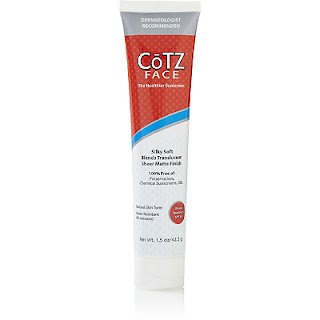 Cotz FACE, The Healthier Sunscreen - I only had this as a sample from Ulta, but oh my lord is it glorious. Apparently it's free of the normal sunscreen chemicals and oils. That's a plus, because I break out pretty easily. Nothing prettier than a 29 year old with acne. Anyway, this sunscreen has a light tint to it and a matte finish. It really looks like I airbrushed my face when I put it on. Much better than the tinted Aveeno sunscreen I use. 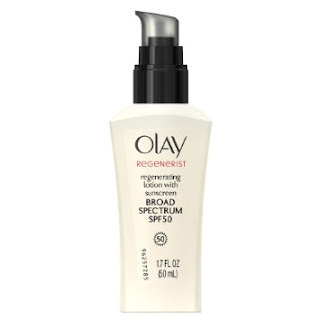 Olay Regenerist Regenerating Lotion with Sunscreen - If you didn't know, Brazil is hot. Like get a sunburn walking half a block hot. I don't burn easily; when I do burn, I'm usually brown the next day. I think I've had a peeling sunburn once or twice in my life. However, I have a lot of freckles and my face is really sun damaged. I think my lack of peeling sunburns made me overconfident in my lack of sunscreen use as a teen and in my early 20s. Now that the smile lines and crow's feet have arrived, I'm taking much better care of my skin. I try to use (at least facial) sunscreen every day. This Olay sunscreen is expensive, but it's broad spectrum, SPF 50, doesn't cause me to break out, and actually makes my skin feel nice and hydrated. I actually prefer the Cotz over this, because it has the makeup-like effect, but this is what I have now, so this is what I'm using. Degree - I mean, need I say more? L'Oreal Vive Pro Smooth Gloss Anti-Frizz Cream - My hair has been in a bun for the past ten years, so I'm not really sure how much the humidity has been damaging it. Now that I'm out of the military, I try to wear my hair down, but it's pretty frizzy most of the time. I put a small glob of this stuff - maybe a dime's worth - on my hands and rub it all over my fingers and then all over my hair. The frizz is gone and it's not heavy or greasy. My husband quite likes the way it smells, so that's another plus. That's it readers! I don't use a ton of products because, you know, kids and time, but I am a bit of a snob about what I use. 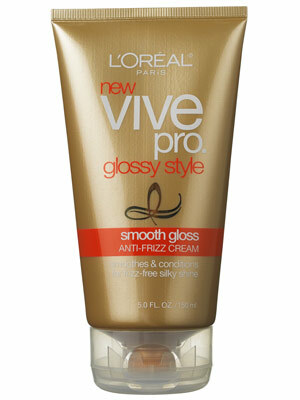 I am definitely in the camp that "you get what you pay for" when it comes to beauty products. I've never worn much makeup but over here it's even less because I sometimes take 4 showers a day to cool down... The only cosmetics that I use regularly are the Neutrogena hand cream and foot cream. I'm bare feet or wearing flip flops all the time so my feet suffer, they are super dry and crack everywhere, it's a disaster! As an adult I was always in the military, so I never wore a lot of makeup. Now I'm here and like you said - between the showers and sweat, it's pointless. Just adding the MAC primer and filling in my eyebrows makes me look SO much better. If I'm brave, I might update this post with a before and after picture. They're both waterproof, but I don't wash my eyes or hair after the first shower anyway. Have you started your move yet? !